ISD on the GO is currently in the prototype phase. Help us better understand your needs by completing this survey. 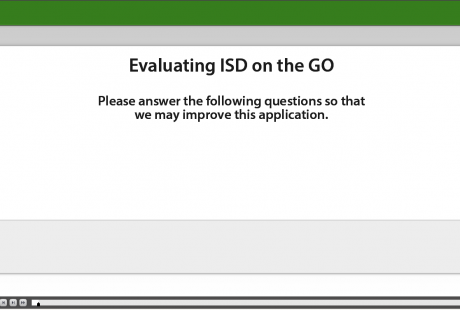 The information will be kept private and used to make ISD on the GO a more useful and user friendly app.